With an estimated 25% of cats in NZ classified as obese, it’s important to be mindful of your cat’s diet! Without proper care, your cat’s diet can make them more susceptible to many chronic or lifespan-shortening health problems. Having a safe and healthy diet plan is the best way to ensure that your cat is feeling their best! An appropriate nutritional breakdown is essential for keeping your cat healthy. Protein – protein supplies the amino acids that cats need to build tissues. Protein is arguably the most important nutrient in a cat diet. Fats – fats are important for keeping your cat’s skin and fur healthy! Carbohydrates – carbs are used to supply energy, but for most cats, a low-carb diet is sufficient. Vitamins – cats can’t make vitamins such as vitamin A or B vitamins on their own, so look for vitamin fortified cat food! Minerals – although these are not as important as things like protein, minerals help develop a cat’s bones and teeth. Providing fresh water is essential. 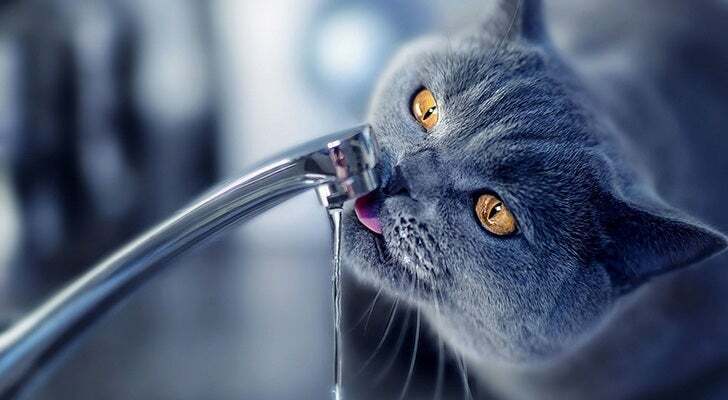 Cats need to be properly hydrated. 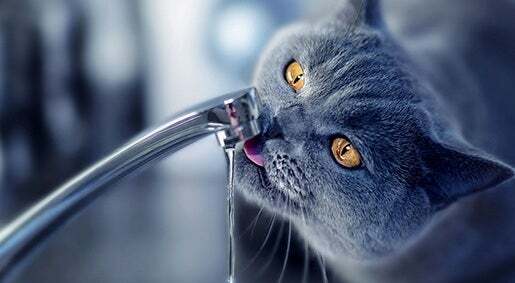 Cats do get some moisture from the food that they eat but the amount varies based on whether they have a dry or moist diet, so it’s best to ensure you keep ample water available. Although convenience today makes it easier to buy dried cat food, a truly healthy cat diet is one that replicates feline diets in the wild - diets which are moisture and meat rich. Since cats are obligate carnivores (i.e it is a biological necessity that cats eat meat) they require quality, high-protein diets. Wet food contains almost 80% water, and has more animal protein and fats than dry food does. Canned wet food can often spoil easily so it’s important to keep it refrigerated after you open it. Dry food has up to 10% water, and has more carbs and less protein than wet food. Dry food is generally cheaper than wet food. Semi-moist food usually has around 35% water, and is primarily made up of meat and meat by-products. As a general rule of thumb, the calories a cat receives from treats should be less than 10% of their daily calorie intake. There are also some foods that should be avoided in a cat diet including raw meats, raw eggs, mushrooms, onions and garlic, milk and dairy by-products, baby food, macadamia nuts, dog food, grapes, raisins and currants. If your cat is having weight issues, there are certain steps you can take to slowly correct these. Generally it’s best to consult your vet before making any dietary changes though. For obese cats: try cutting back their daily food intake by around one to two tablespoons. Once they’re at optimum weight, feed them enough to maintain this weight. Remember to never put your cat on a crash diet! Crash diets are an unhealthy way to help your kitty lose weight. For underweight cats, increase their daily food intake by one to two tablespoons and then maintain their intake once they’re at optimum weight. If this doesn’t help them gain weight, it may be a symptom of an underlying issue, so consult your vet. If you’re a cat owner, you know that it’s essential to be careful about what you feed your precious pets to keep them healthy. As always, if changing your cat’s diet plan drastically, get expert advice from your vet to ensure that your diet plan is the perfect one for your cat.With the general tips above and some specific advice from your vet you can formulate the perfect diet to keep your cat in tip top shape!